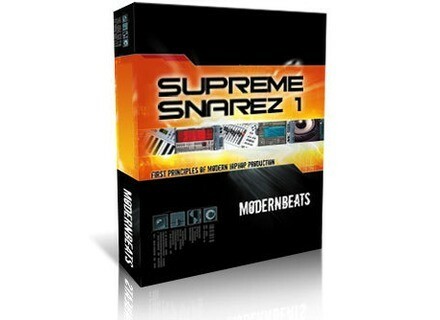 Supreme Snarez 1, Drum/Percussion Sample from ModernBeats. 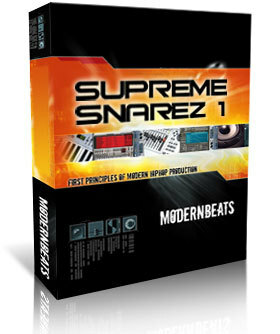 Featuring 300 one-shot snare samples designed for modern urban and pop music production, ModernBeats releases "Supreme Snarez 1". All samples were recorded at 24bit, 44.1khz and include snare designs modeled after Timbaland, T. Pain, RedOne, Neptunes, Stargate, Storch, Lil Jon, Trak Starz, and Dre. "Supreme Snarez 1" contains 10 software sampler presets across 6 formats that auto-load all 300 snare samples into your sampler of choice: Reason NN-XT (.SXT), EXS24 (.EXS), Kontakt (.NKI), Battery (.KIT), Halion (.FXP), Soundfont (.SF2), and WAV (.WAV). "Supreme Snarez 1" is offered as a download, priced at just $39.95. Loopmasters: The Sound Of London Acid Techno This Industrial Strength artist pack contains 1000 files of Acid Techno. Loopmasters Ghetto House Inspired by the productions of artists such as Zinc, Redlight, Adam F and Jack Beats, Ghetto House features elements for producers to explore the new style of Urban, Booty Jackin music. Soundminer HD Plus Soundminer HD Plus is now ready.